The INTERNATIONAL GAMES WEEK BERLIN from April 21–26, 2015, is the leading cross-industry communication and networking platform for games business, development and culture in Europe. Over six days, the umbrella brand combines more than ten events for industry representatives and game enthusiasts alike. In 2014, about 10.000 international and German game developers, publishers, investors and representatives of public institutions and the media industry as well as gamers, families and fans came to Berlin. 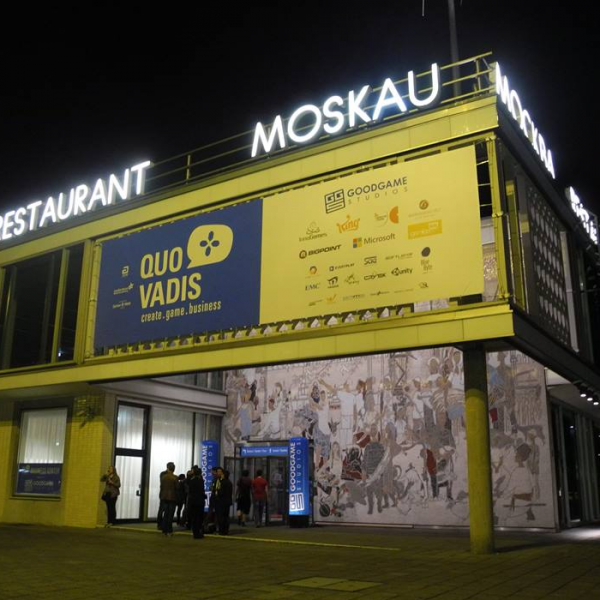 The INTERNATIONAL GAMES WEEK BERLIN includes the opening event Opening Summit, the German Games Award, the games business and development conference Quo Vadis, the independent video games festival A MAZE. / Berlin, Gamefest at the Computer Games Museum, Womenize!, Matchmaking Dinner, Making Games Talents, CGC eSports BarTalk, Apps World Germany, and many more events. The INTERNATIONAL GAMES WEEK BERLIN follows in the footsteps of the DGT – Deutsche Gamestage – an event initiated by the Medienboard Berlin-Brandenburg in Berlin in 2007.